Bye-bye bugs! Our friends at RailRaiders have designed THE pant for us TrailblazerGirls – the Weatherpant with Insect Shield. Insect Shield is a nontoxic, completely safe treatment that will defend you against creepy crawlies and flying nasties like mosquitoes, midges and flies. It’s effective up to 70 washes, and in conjunction with the drawcord around the hem of your pants, will keep you bug-free – yippee! Additionally, RailRaiders’ tagline is “The Toughest Clothes on the Planet”, and we think the Weatherpant is a great example of this. The seat and knee areas are reinforced with Railtex, a special nylon material that is highly abrasion resistant and water resistant, so you won’t have to worry about these areas wearing down or ripping as you make your way through the mountains. Other noteworthy features include articulated knees, a gusseted crotch, and a loose fit for comfort and ease of movement, an adjustable waist for the perfect fit, 6 pockets to hold all your essentials, and quick drying, lightweight, yet durable fabric. 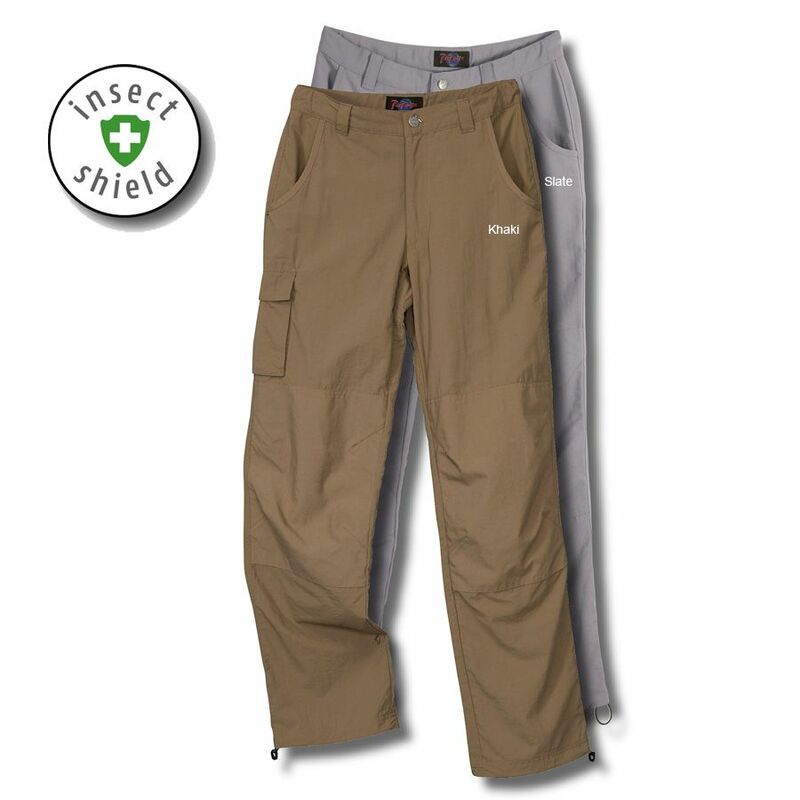 Time to take to the trails with the Weatherpant with Insect Shield from our friends at RailRaiders!